The 133rd Carr-Harris Cup, the world’s oldest hockey rivalry, is set for Thursday night between the RMC Paladins and the Queen’s Gaels at the Leon’s Centre – home of the OHL’s Kingston Frontenacs. This annual challenge game was first initiated in 1986 to mark the rivalry’s 100th anniversary, dating back to 1886. Queen’s has dominated over the past 10 years with a record of 7-2. The action starts at 7:30 p.m. ET/4:30 p.m. PT. The game will be preceeded in the afternoon at the Leon’s Centre by a women’s hockey School Day contest between Queen’s and UOIT. Another big rivalry is also brewing on Thursday night between two other crosstown opponents in the Laurier Golden Hawks and Waterloo Warriors. The two sides are set to meet in the Battle of Waterloo at the Kitchener Memorial Auditorium, home of the OHL’s Rangers. The season series is currently knotted at a game apiece but it was Laurier who took the last matchup – a 3-1 win also held at the Aud on Nov. 23. Puck drops at 7:00 p.m. ET/4:00 p.m. PT. 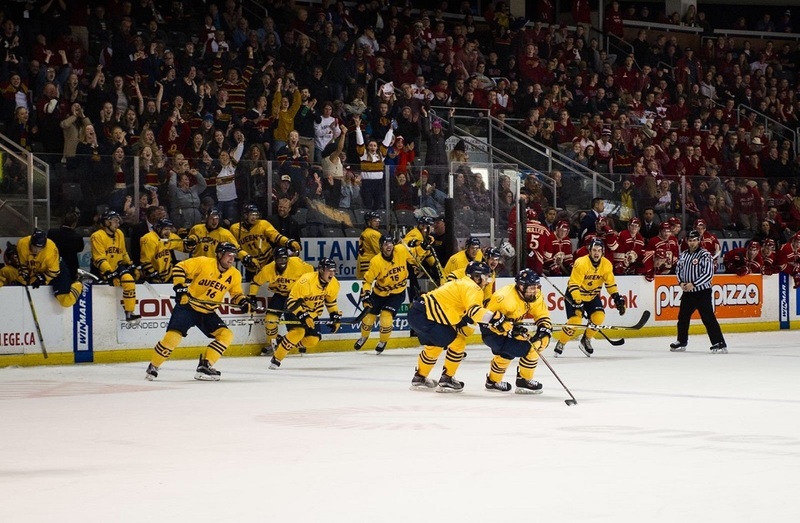 You can catch the action at OUA.TV as the regular season winds to a close this weekend. The Canada West playoffs tip off this week with eight play-in games scheduled across the conference. In both men’s and women’s action, the fifth through 12th seeds will meet to see who advances to the best-of-three CW quarterfinals, where the top four seeds are waiting for them with a bye. You can catch the action on CanadaWest.TV. The No.10 UBC Thunderbirds will host the Winnipeg Wesmen in women’s volleyball action for their annual Thunderstruck Festival this Friday, at War Memorial Gym. The event looks to celebrate women in sports and create conversation for gender equality. First serve flies at 10:00 p.m. ET/7:00 p.m. PT. The event will be preceded by a School Day Match between the two schools’ men’s teams at 4 p.m. ET / 1 p.m. PT. Watch all the action on CanadaWest.TV. A number of individual sport championships are scheduled this weekend. The OUA and AUS swimming championships will be hosted by Brock and Dalhousie, while Fraser Valley welcomes the best wrestlers in Canada West for the very first time to the Envision Athletic Centre in Abbotsford, B.C. In addition, the AUS Curling Championships will be played at the RE/MAX St. John's Curling Club and hosted by the Memorial Sea-Hawks. 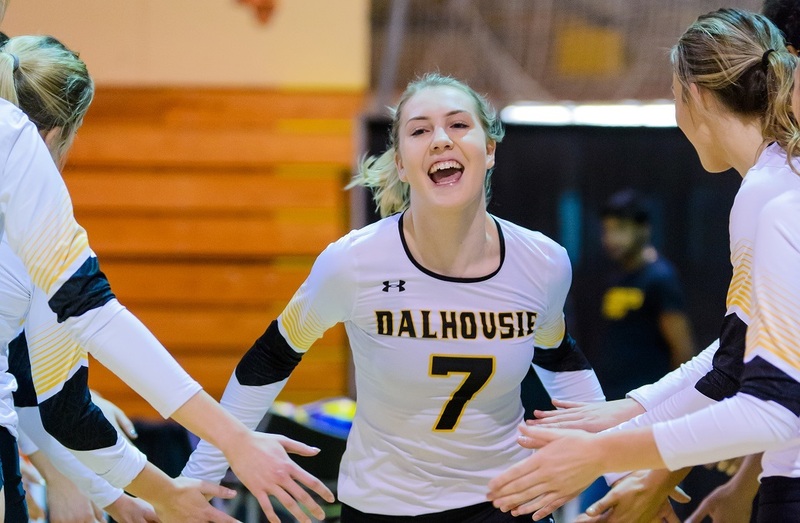 The best teams and student-athletes will look to secure their spots at the upcoming U SPORTS National Championships beginning later this month. You can see the full U SPORTS championship calendar here. Time to go diving into the deep end for another #BannerSeason event, and as the best of the best in the province hit the water, it will be a mix of experience and fresh faces looking to lead the @Varsity_Blues back to 🥇! 🏔🤼‍♂️🤼‍♀️ | @CanadaWest Wrestling Championships are @ UFV this week!